This is going to be a picture post tonight before midnight with a better copy added tomorrow when I’m not so tired. I just want to post something tonight and not break my one post per day rule. Well, today I made a case for the mix cd I will send in to The MixChange this week that is beach day themed. The idea of The MixChange is that if you send in a mix cd, then you get one back. The cd I made is very similar to the mix I posted on Friday, but I got some new songs today and switched some others out. It should have an airy, joyful and thoughtful groove to it. Last year I sent in a mix cd to The MixChange and got a good one back with a great homemade case. 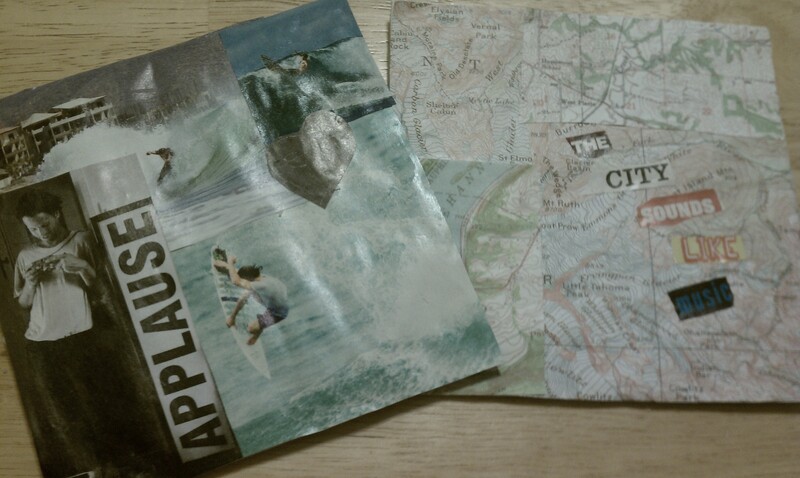 Pretty packaging tends to make the thing inside seem extra special to the recipient and I do love me some maps. The case inspired me to make one of my own with a beach theme. 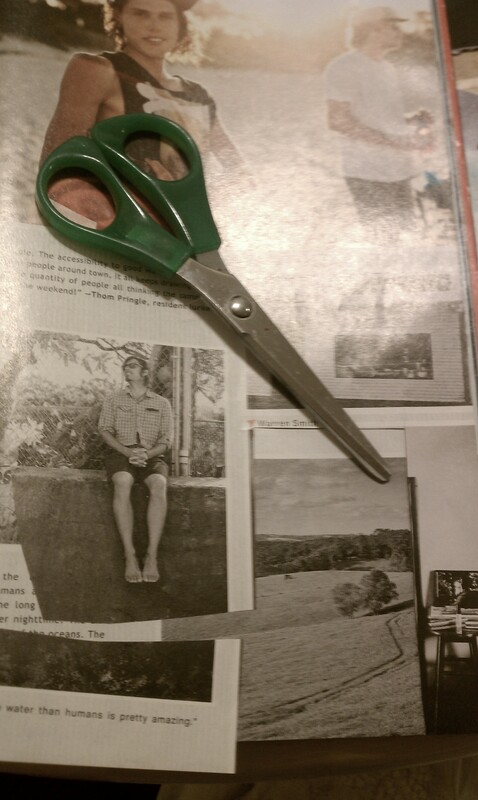 I used some great photos I cut out from adds and articles in SURFER Magazine. Making the case was so easy and fun. Cases like these with personalized mix cds would make a great gift. The beach themed mix case I made is on the left and the one I received from The MixChange is on the right. This heart shape says surf on it and was from part of a photo of graffiti. 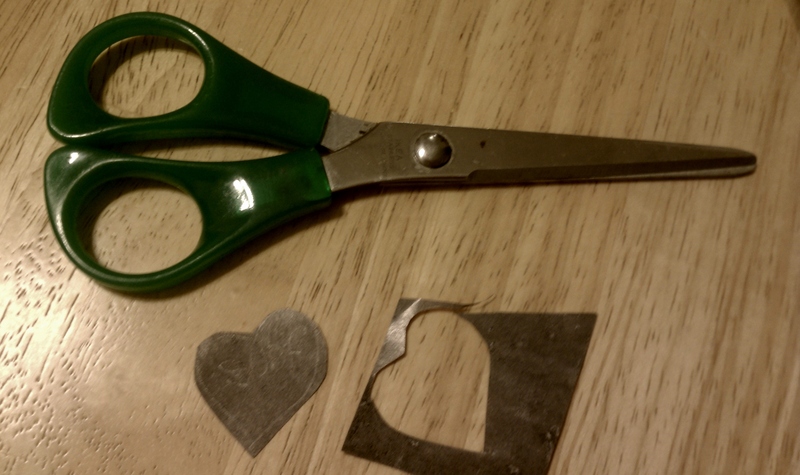 Cut outs of shapes or words can add something special to the collage.